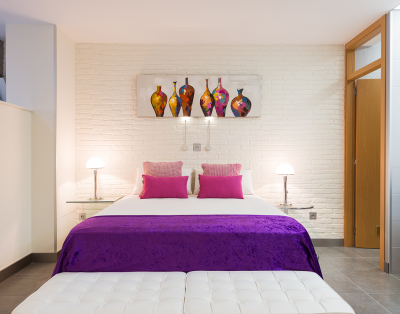 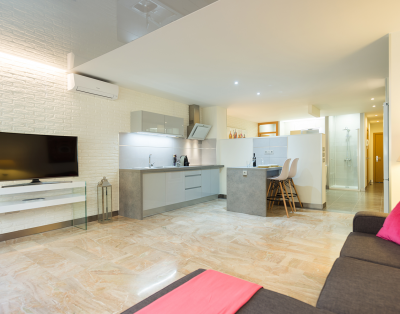 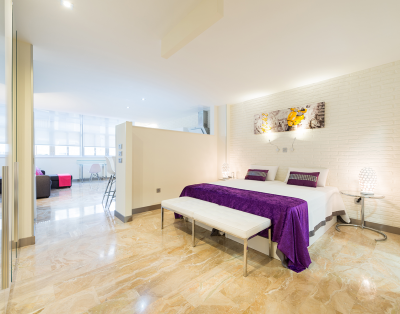 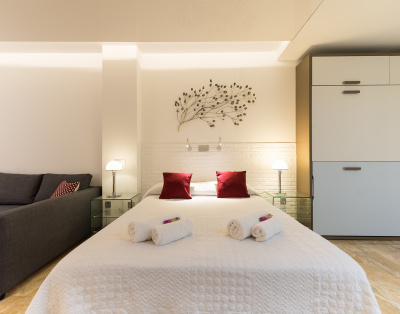 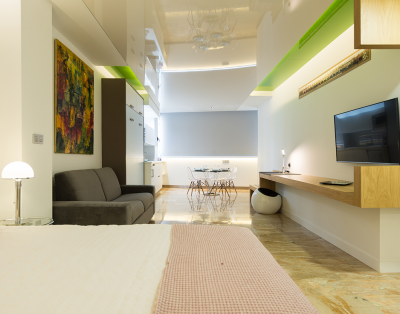 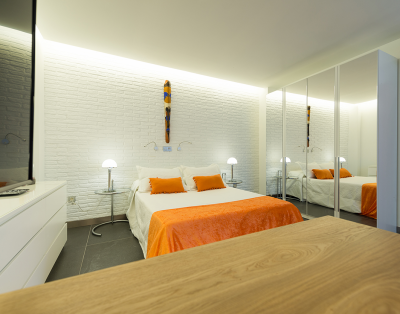 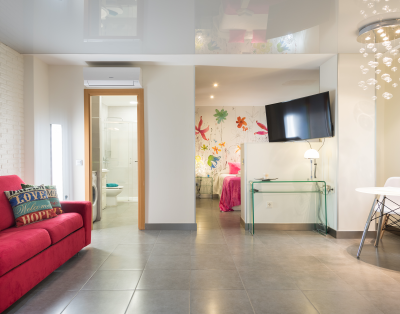 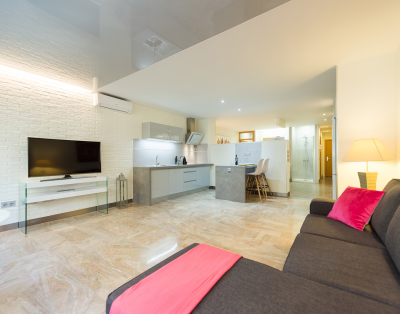 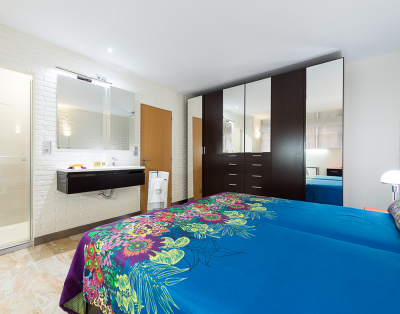 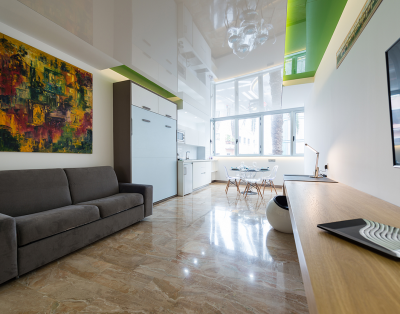 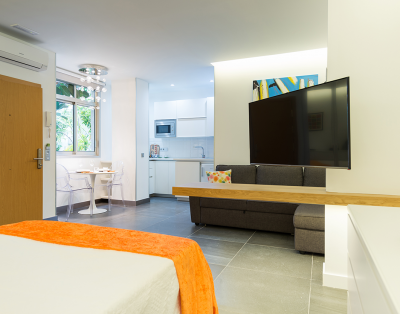 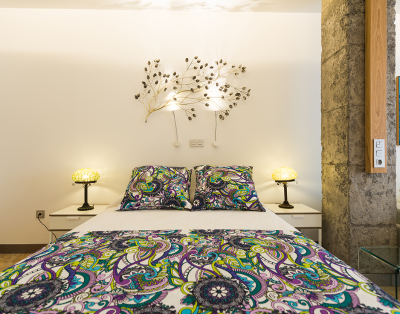 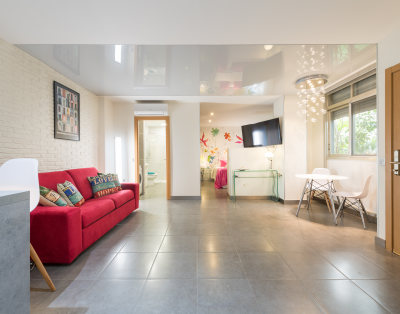 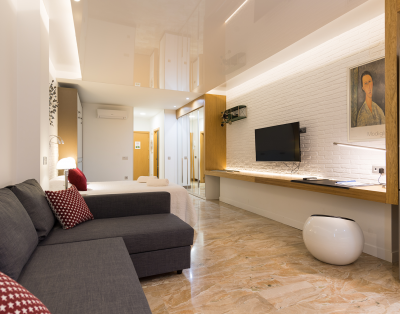 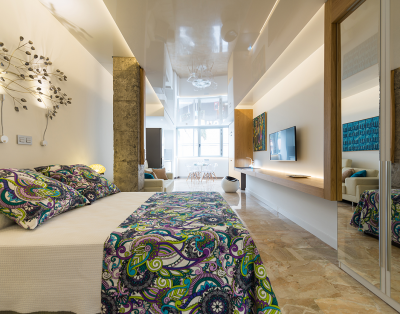 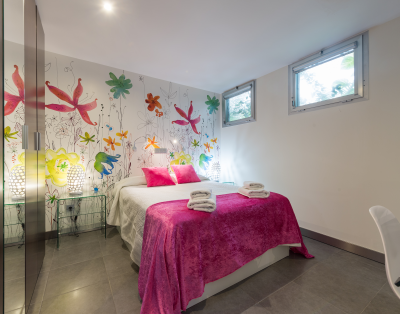 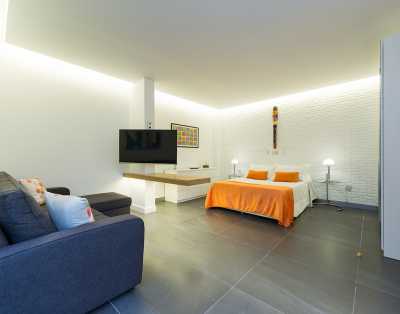 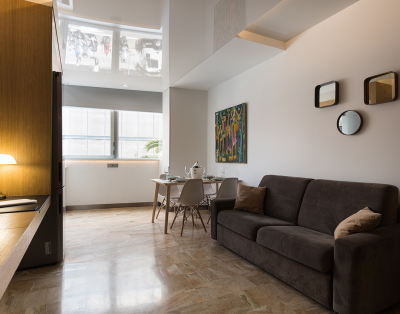 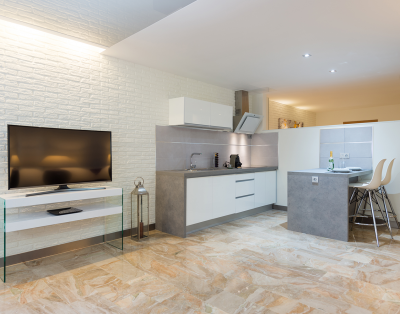 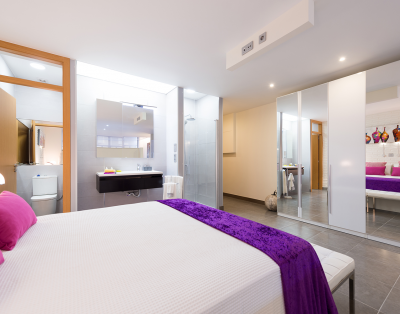 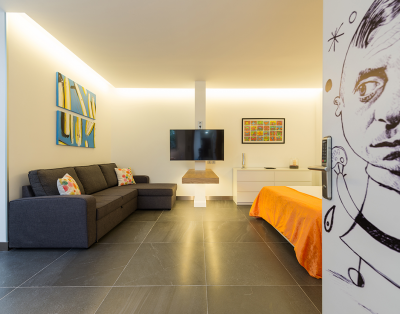 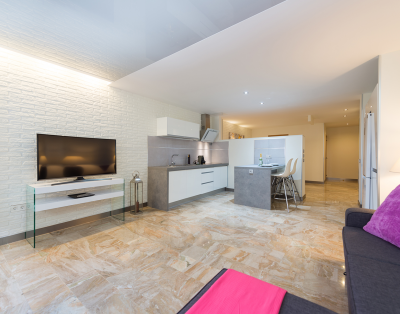 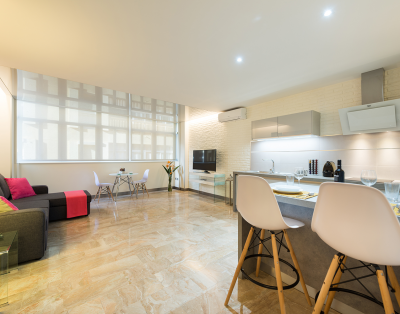 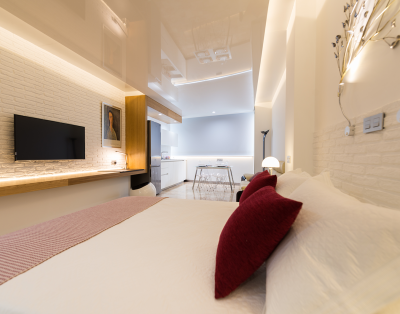 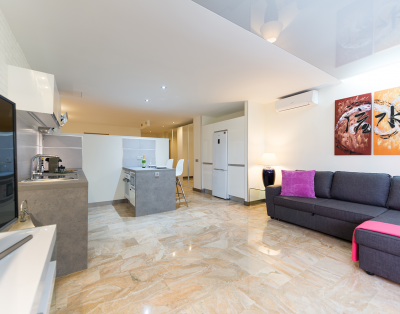 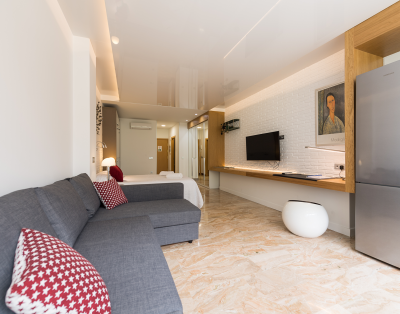 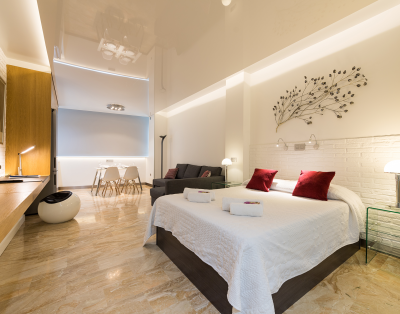 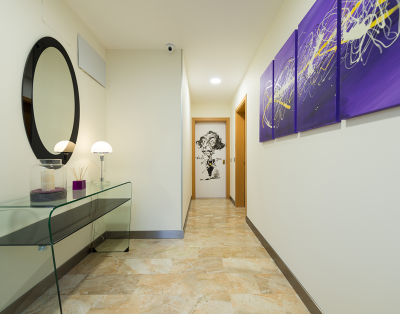 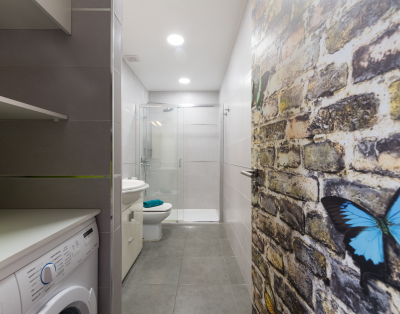 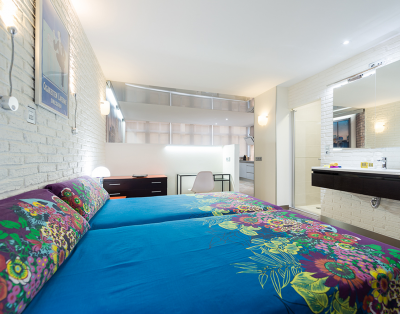 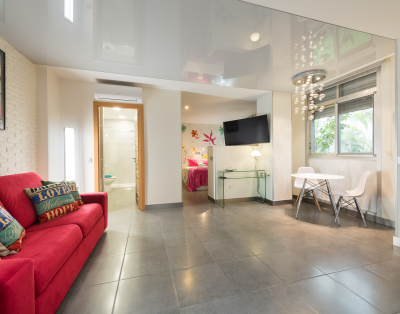 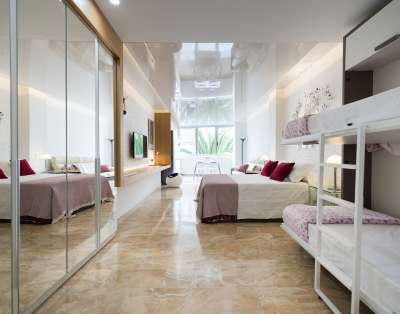 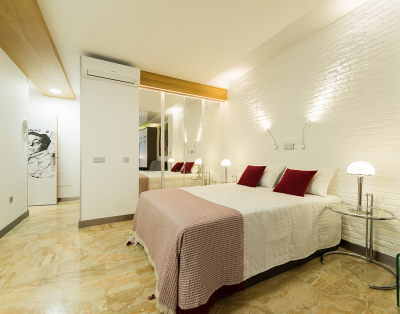 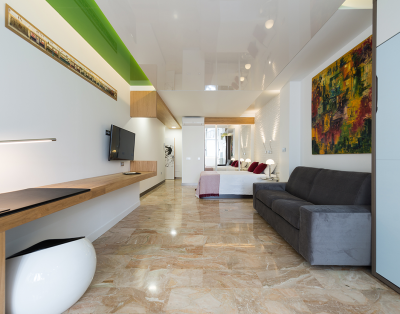 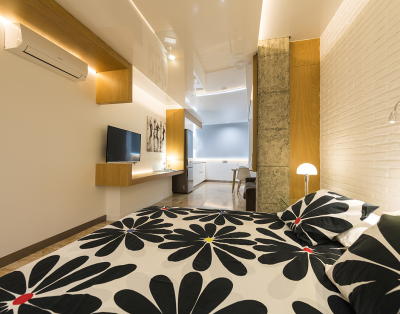 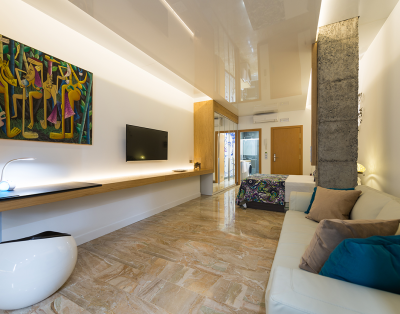 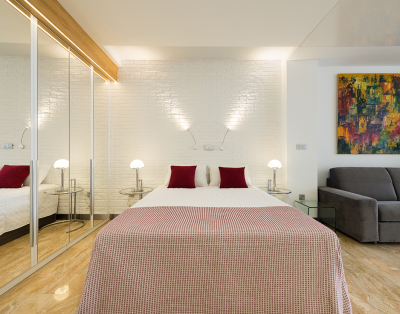 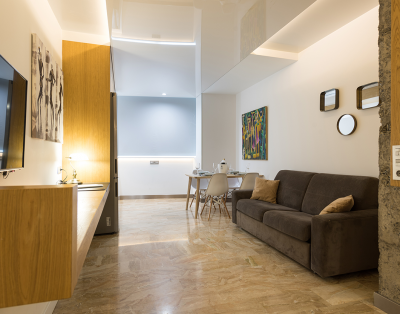 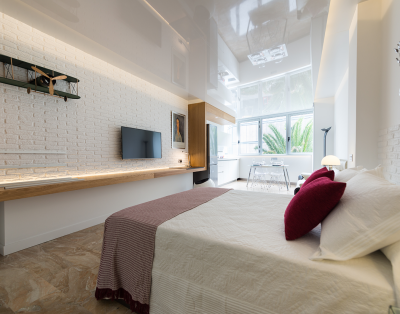 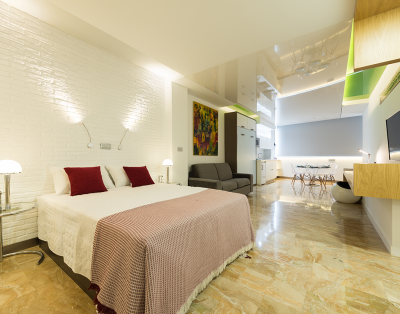 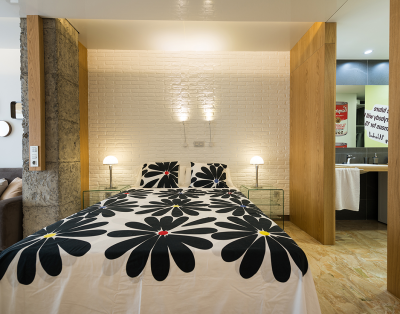 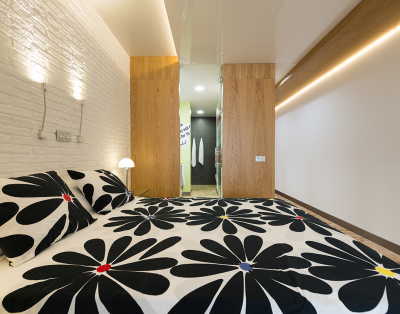 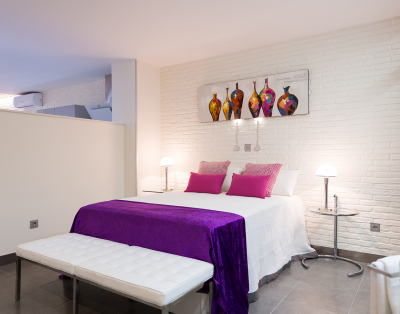 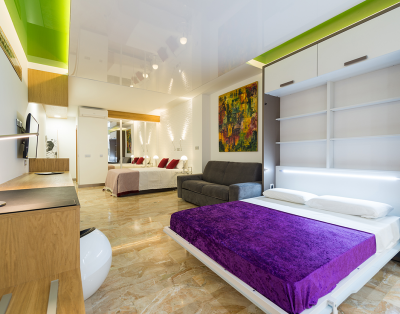 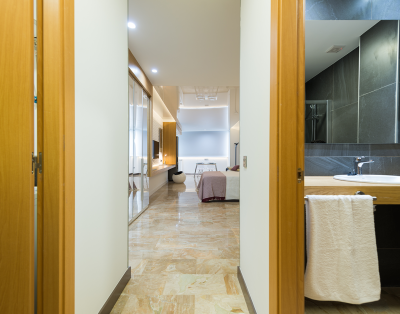 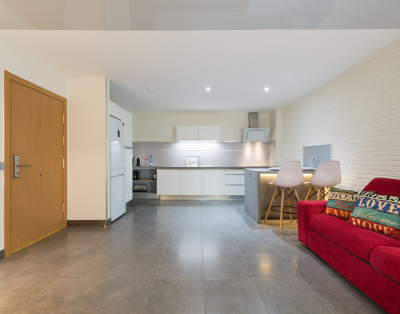 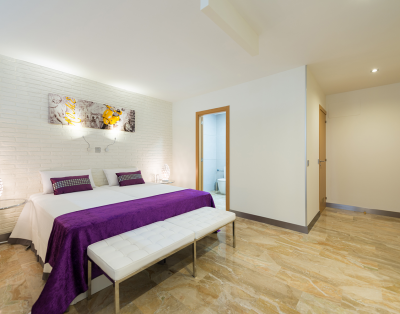 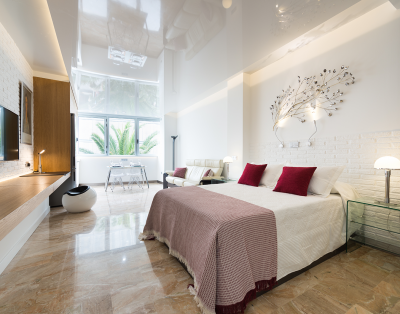 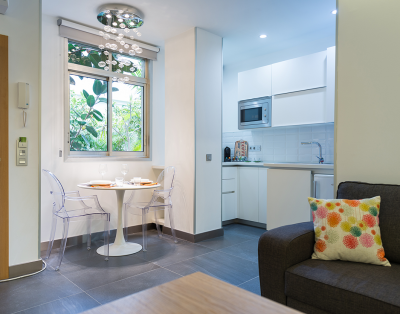 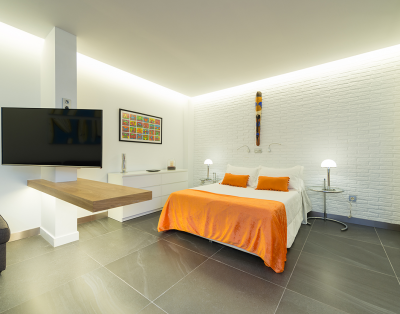 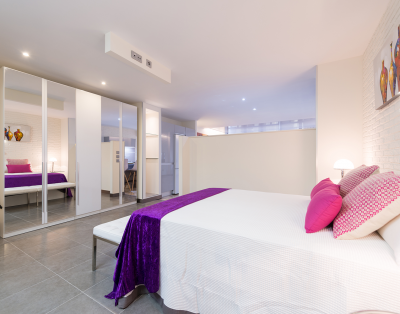 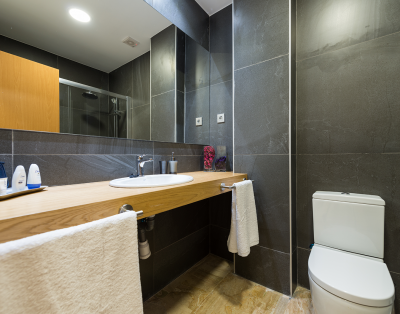 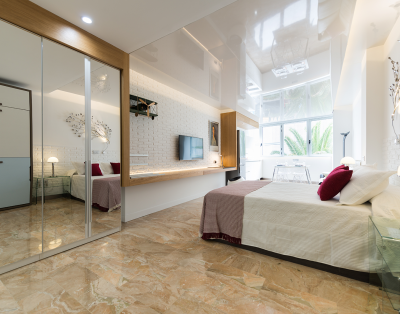 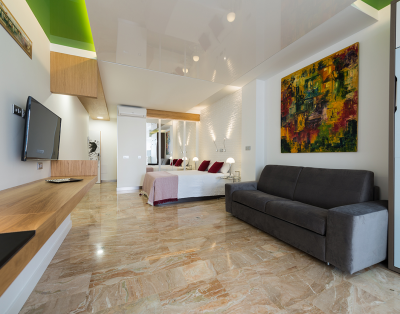 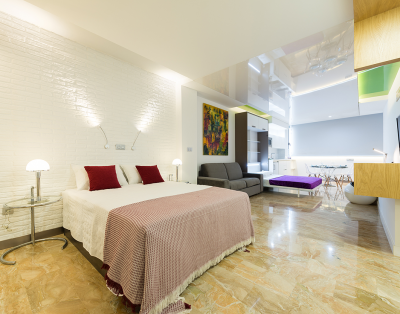 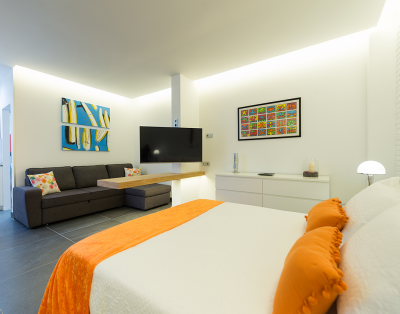 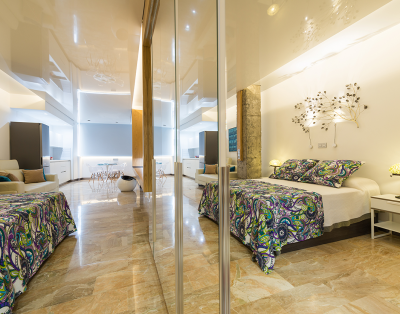 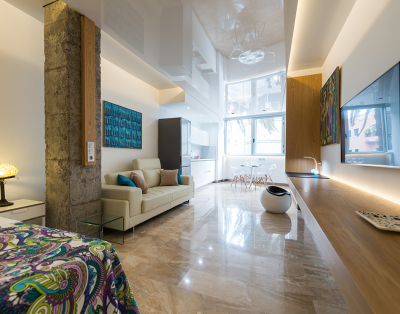 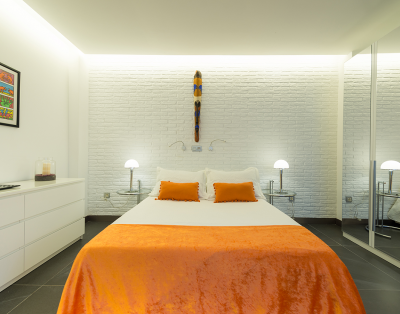 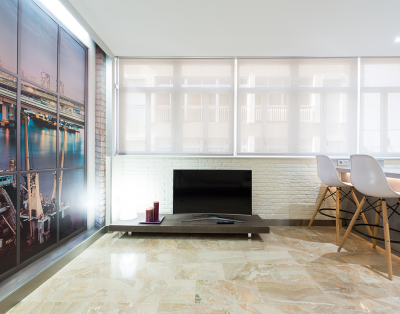 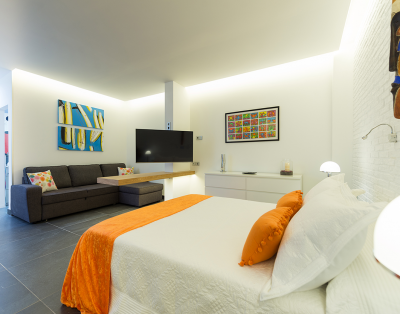 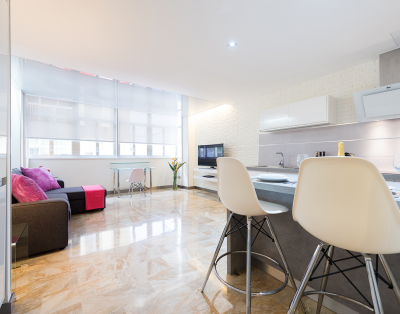 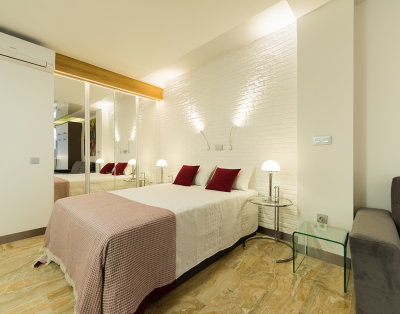 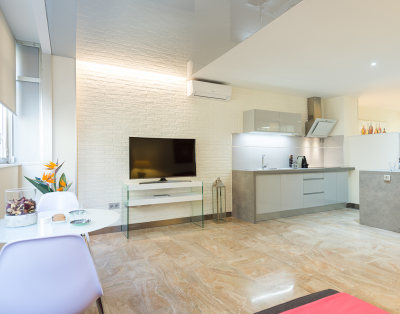 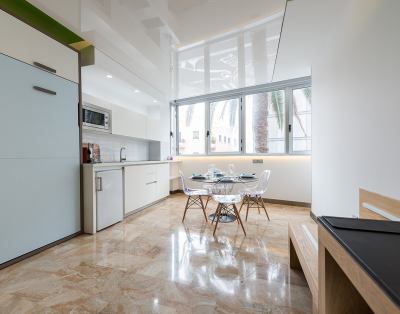 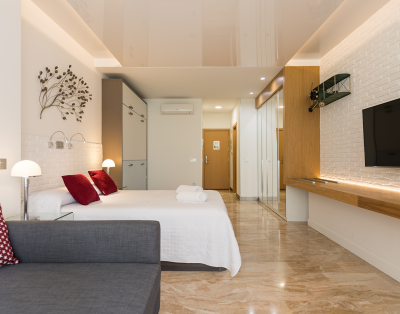 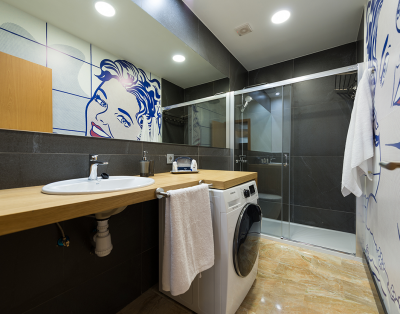 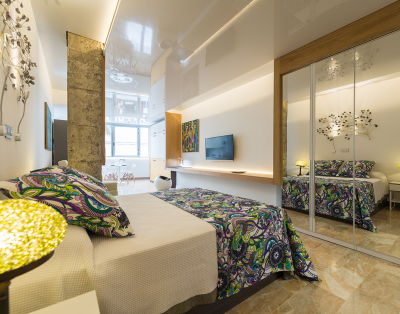 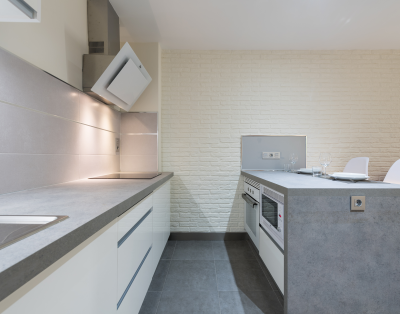 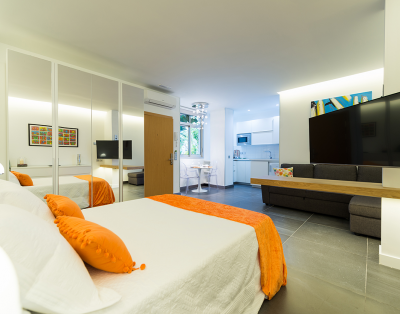 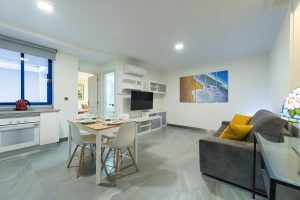 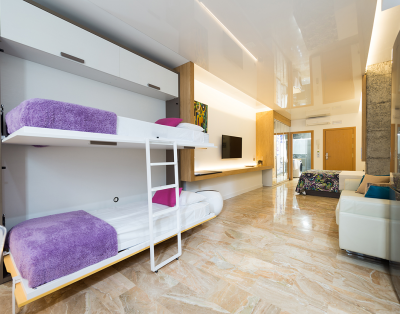 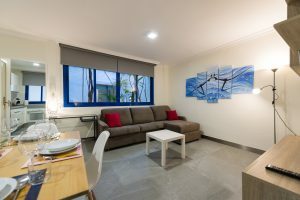 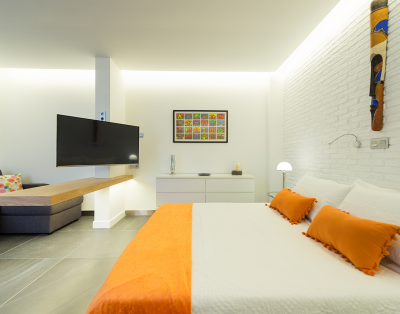 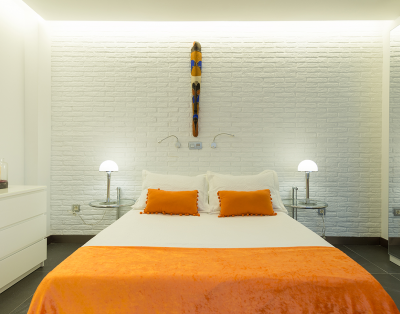 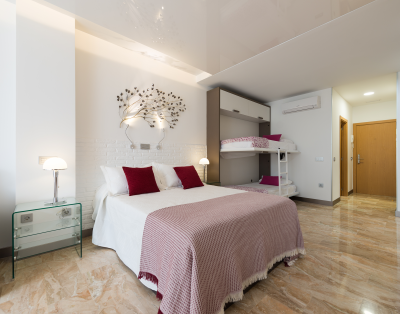 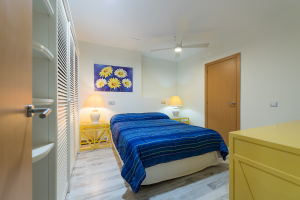 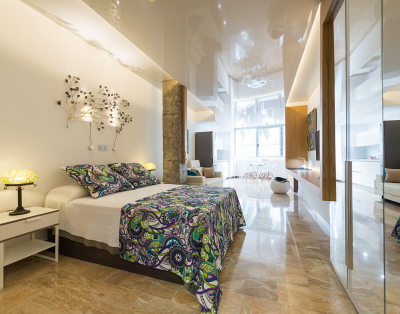 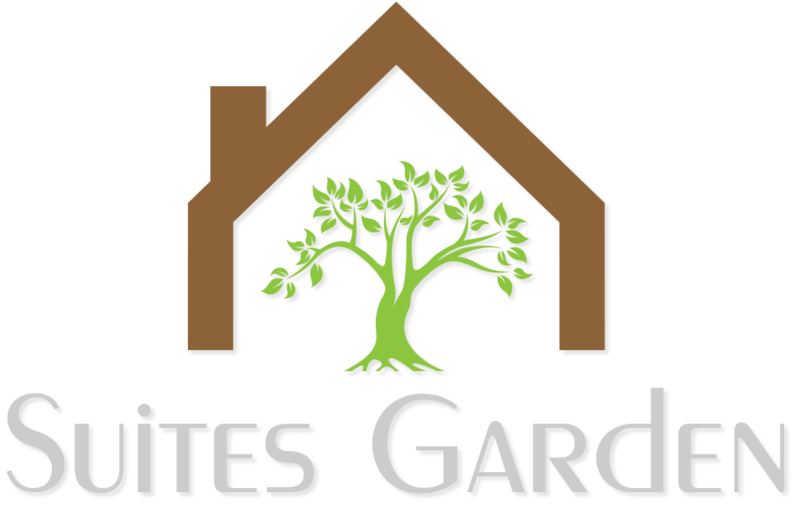 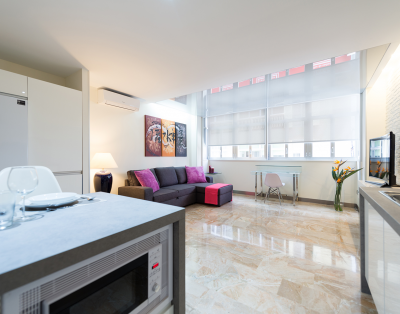 Suites Garden offers you to enjoy your stay in our holiday rentals, Boutique de Lofts, Apartments, Family Apartments and Deluxe Penthouses with exclusive services in Las Palmas de Gran Canaria. 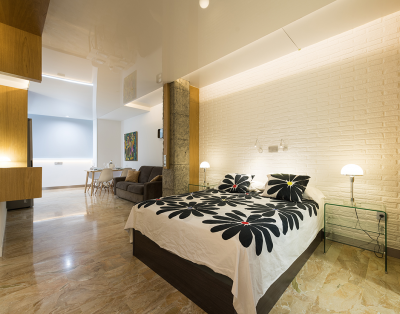 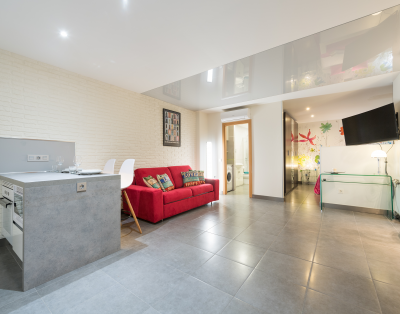 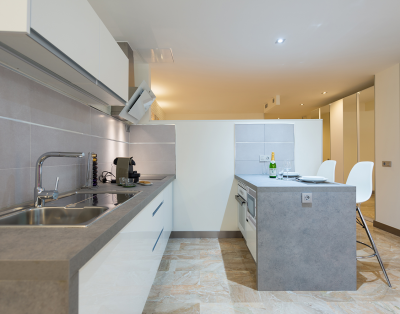 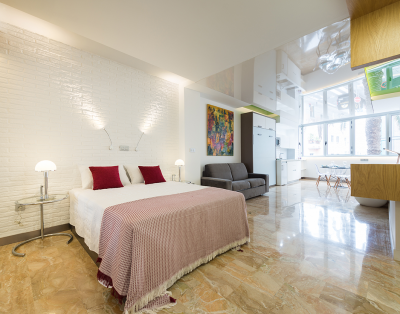 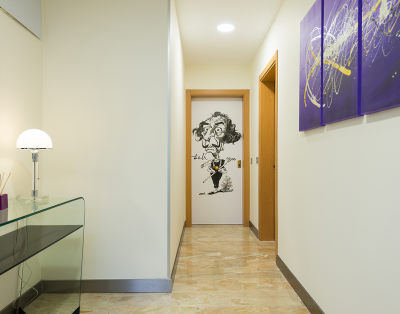 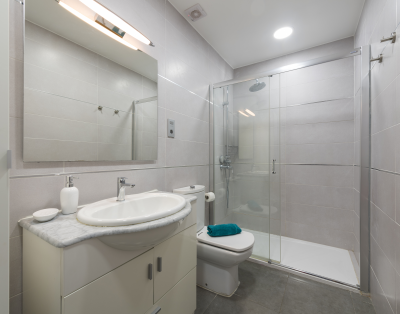 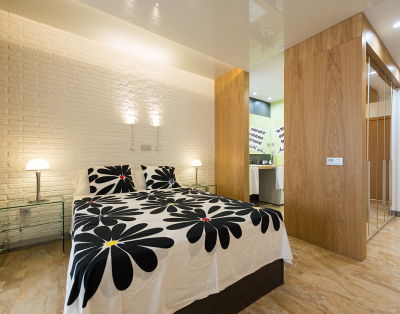 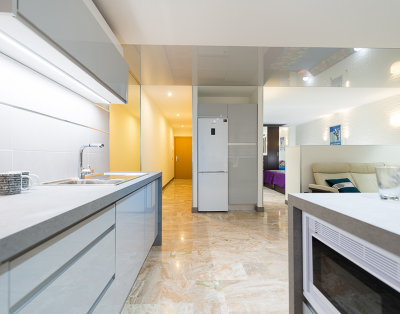 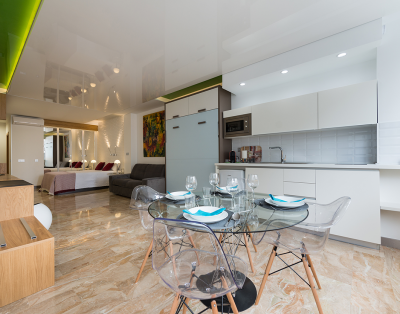 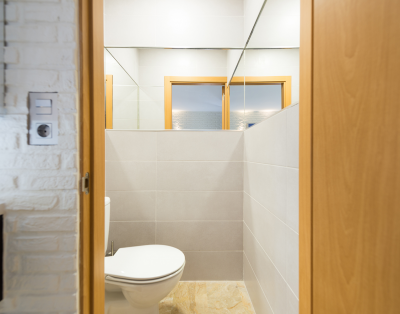 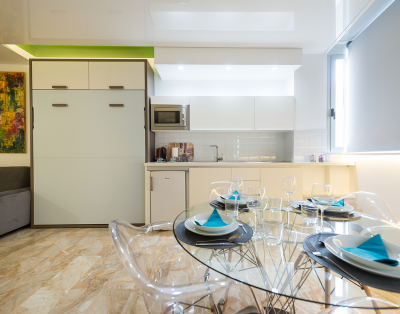 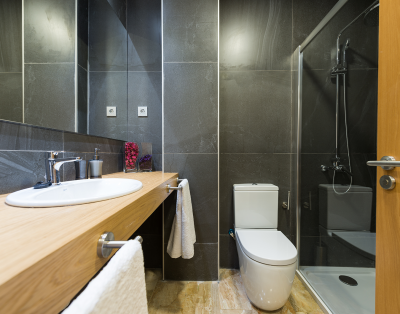 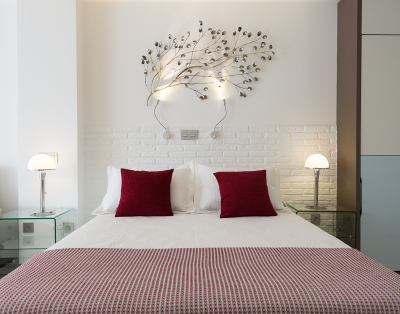 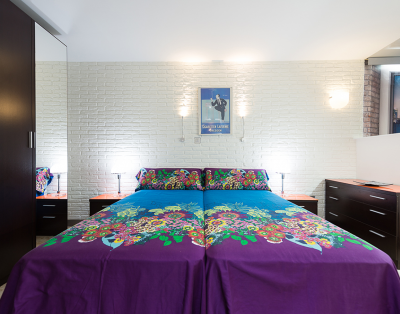 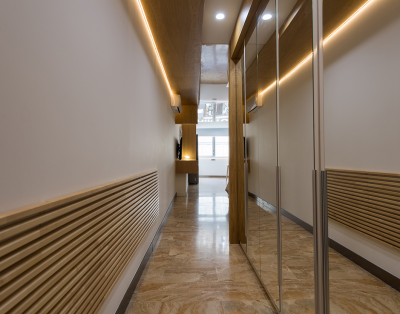 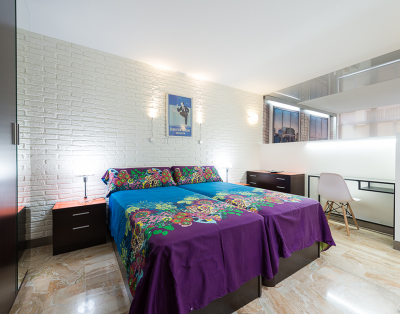 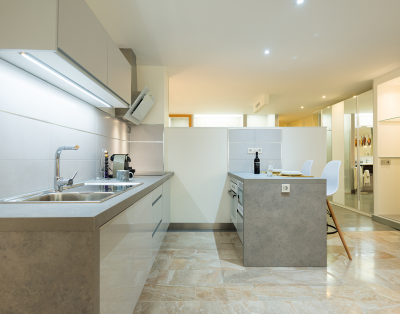 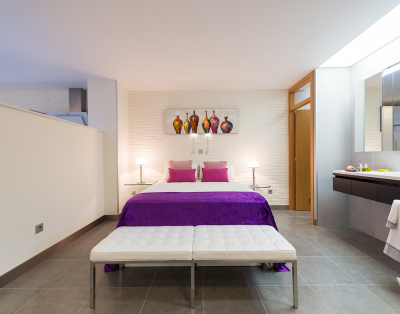 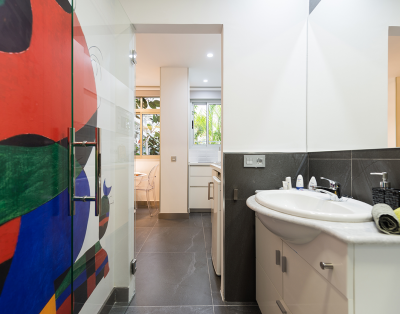 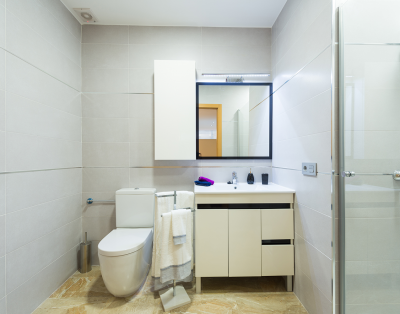 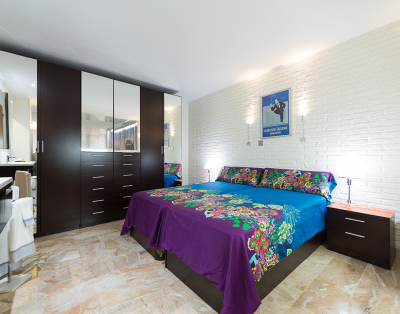 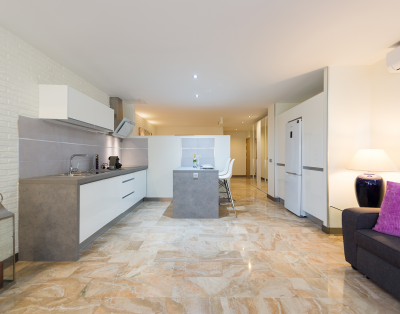 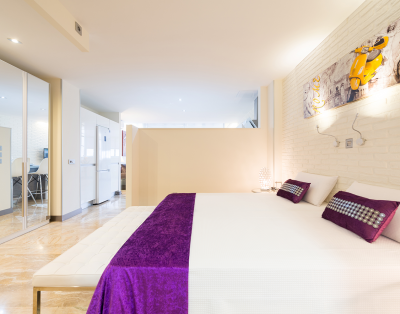 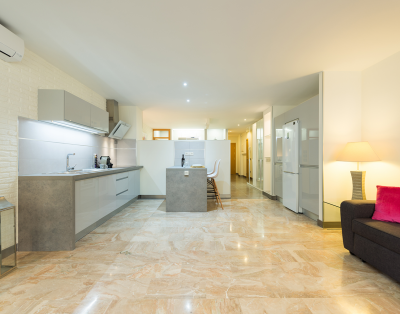 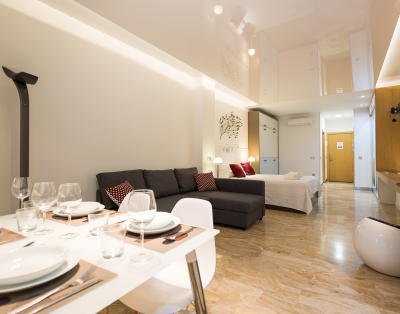 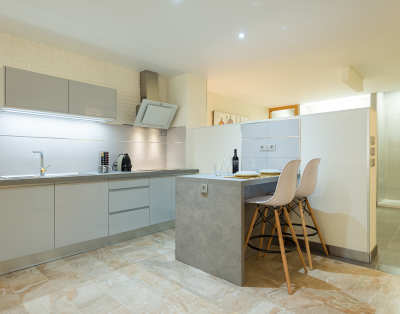 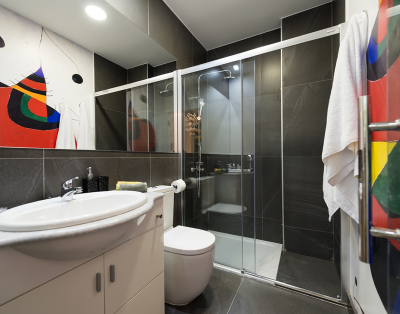 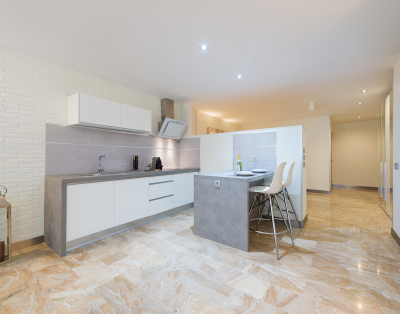 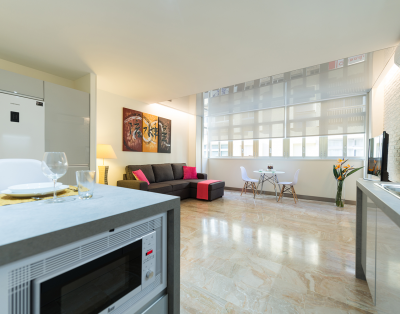 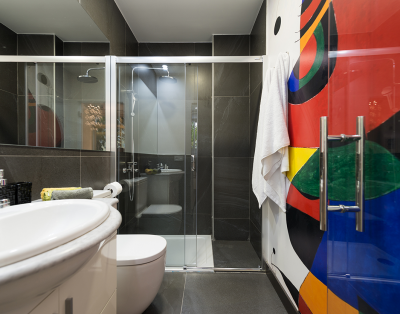 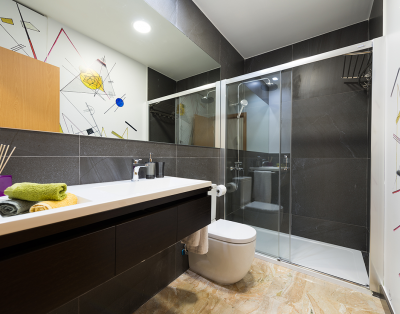 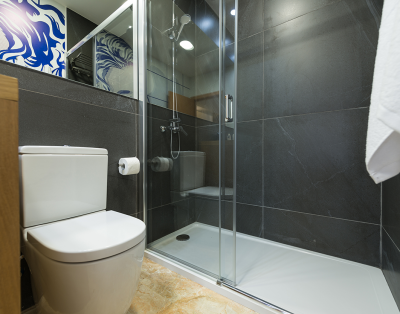 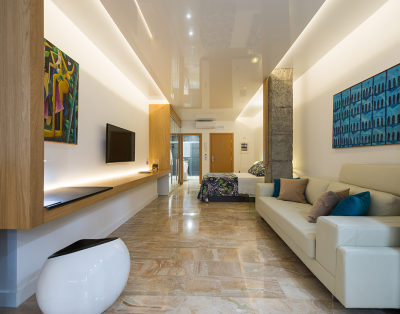 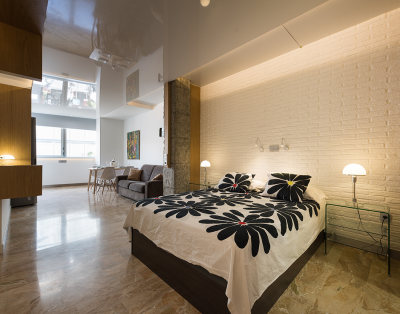 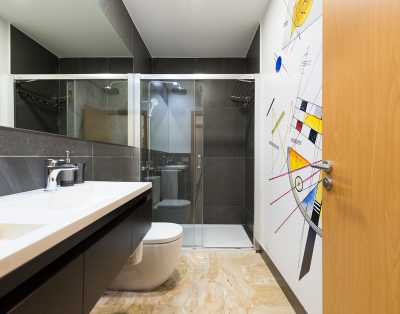 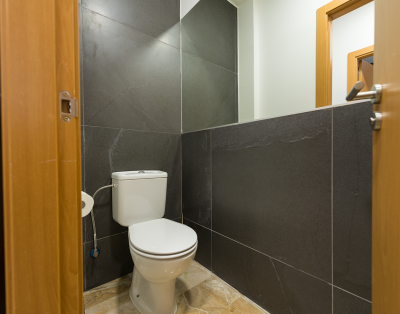 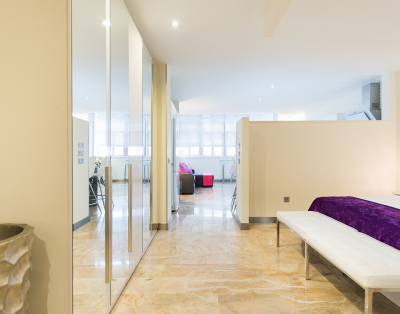 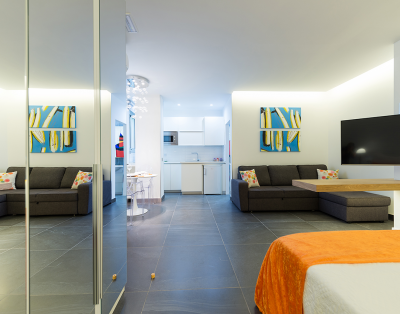 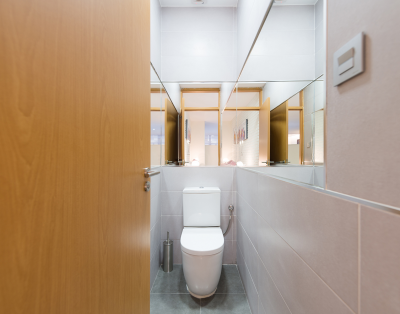 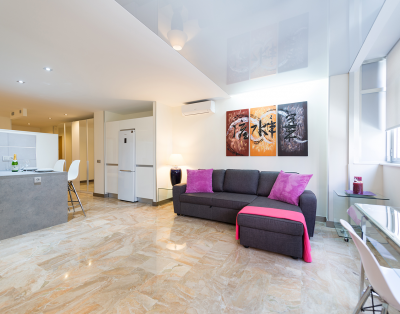 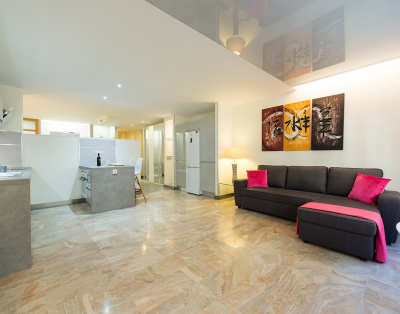 Modern apartment of 100 m2, with capacity for 5 people, two bedrooms and two bathrooms. 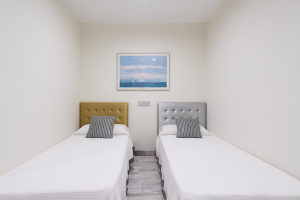 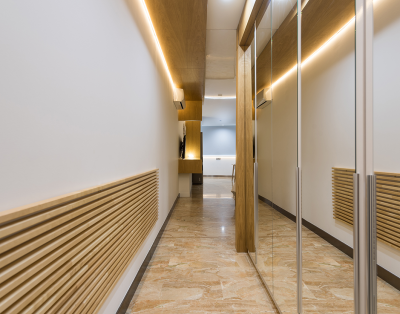 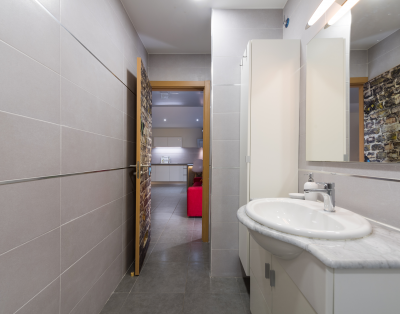 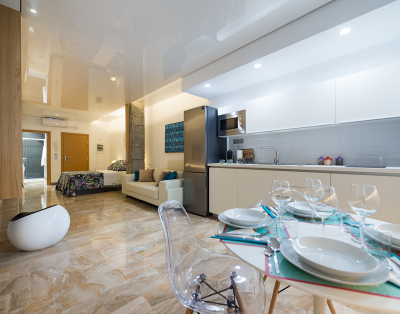 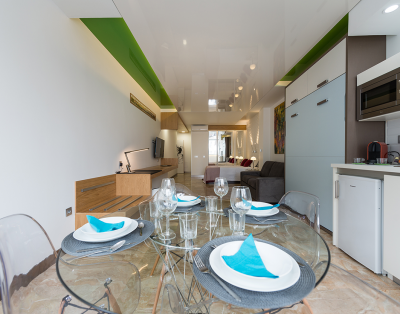 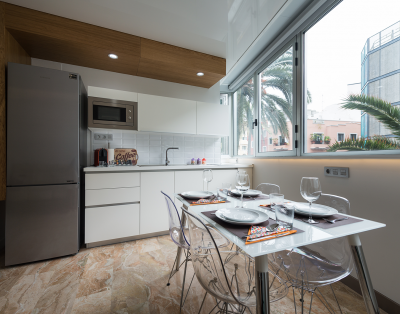 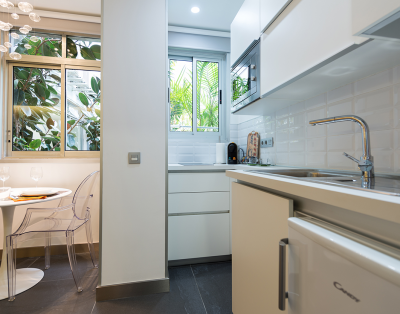 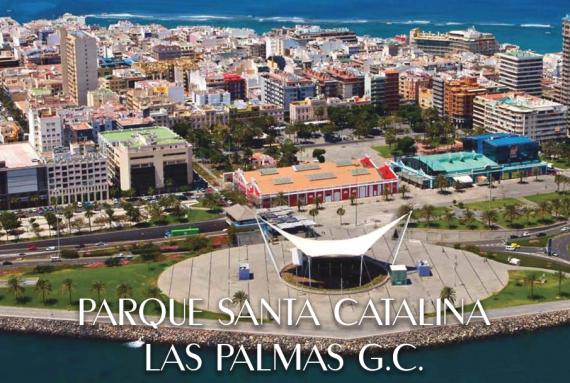 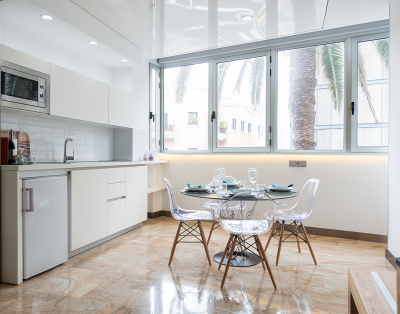 Located just 50 metres from Las Canteras Beach and just 100 metres from the city’s main shopping, financial and leisure centre (terraces, restaurants, shops, El Corte Inglés, golf, paddle tennis, auditorium). 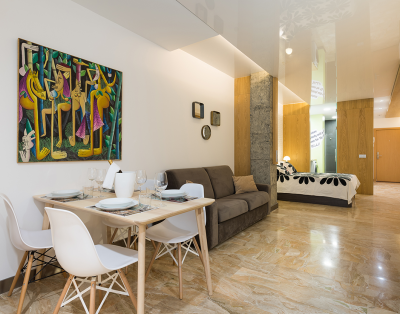 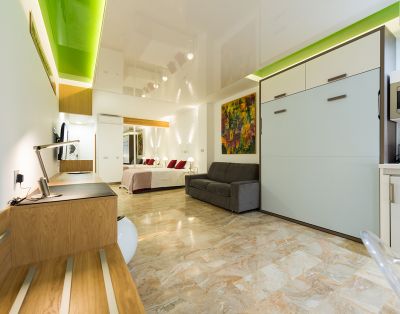 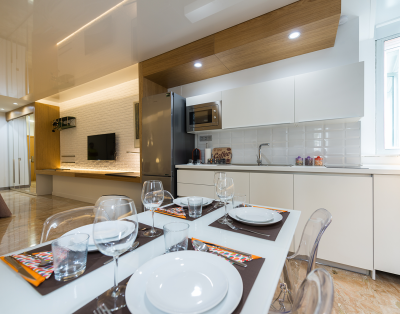 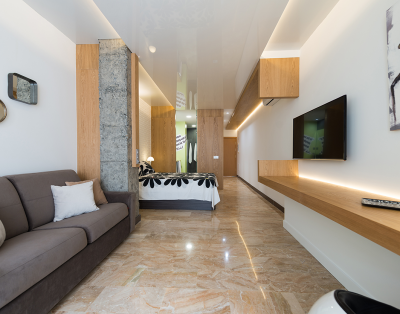 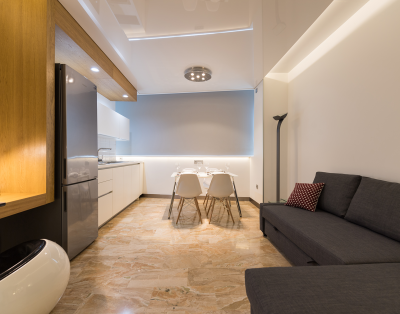 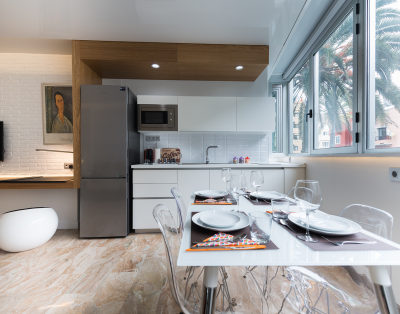 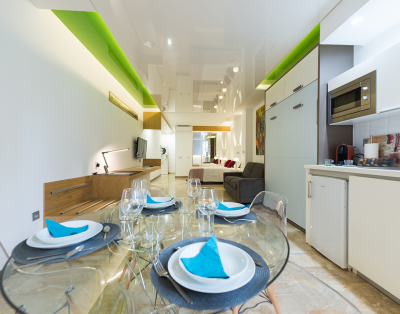 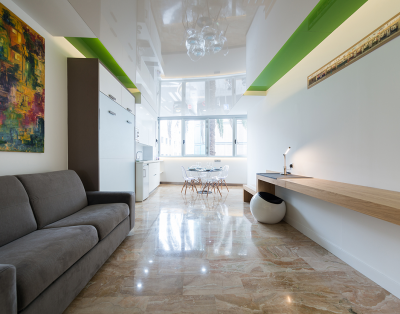 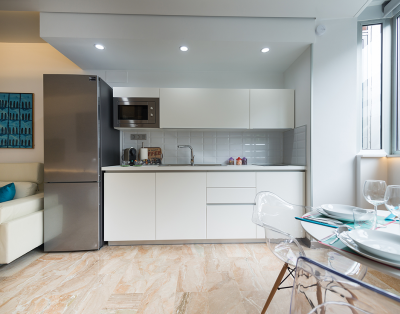 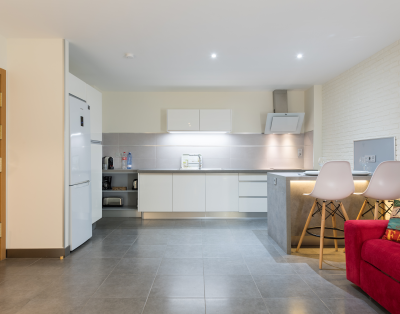 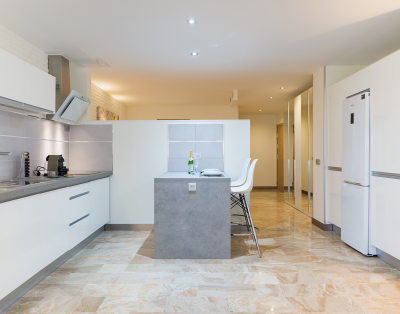 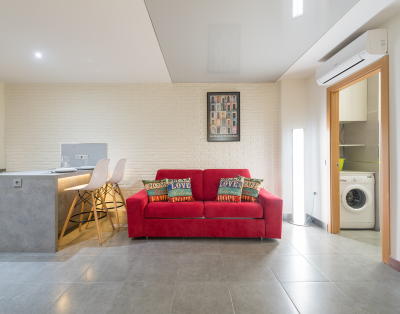 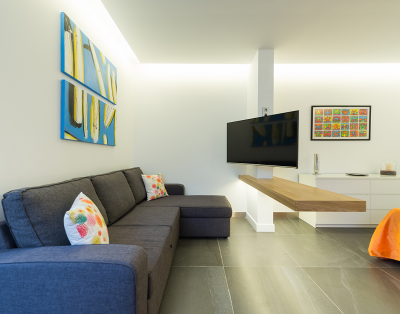 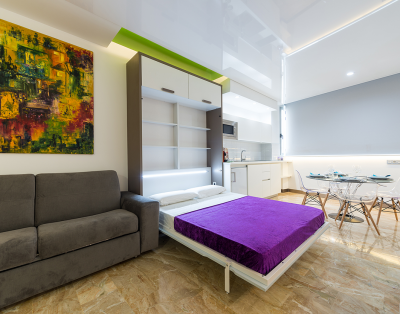 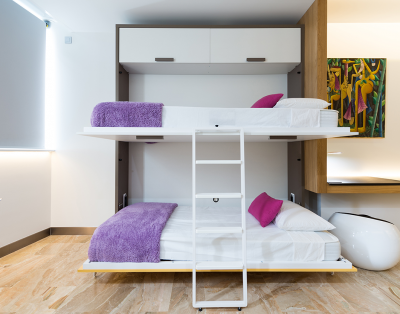 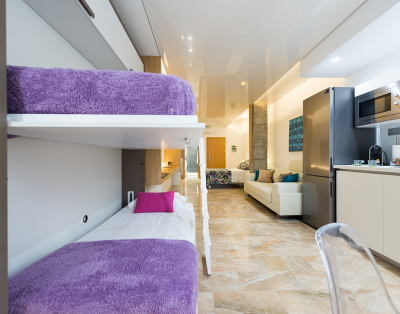 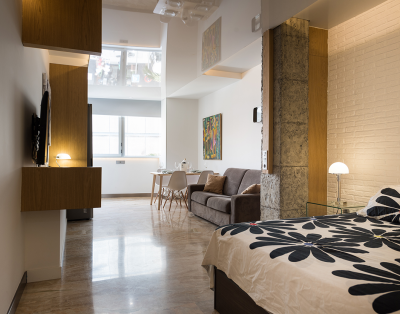 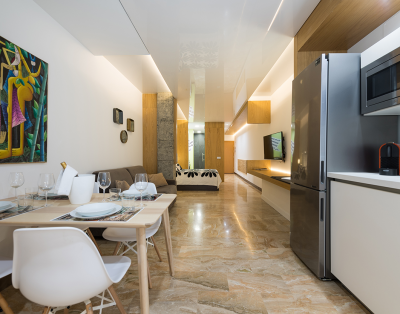 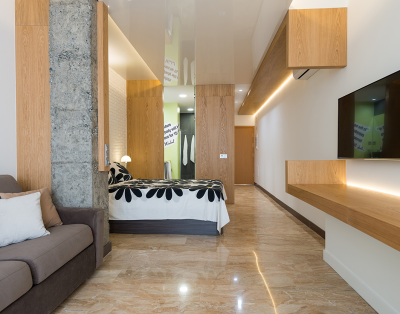 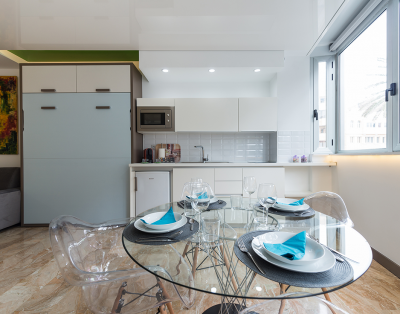 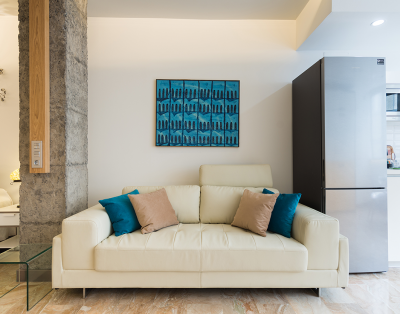 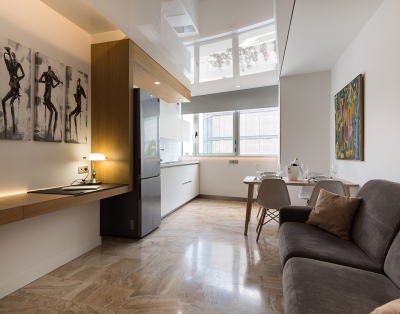 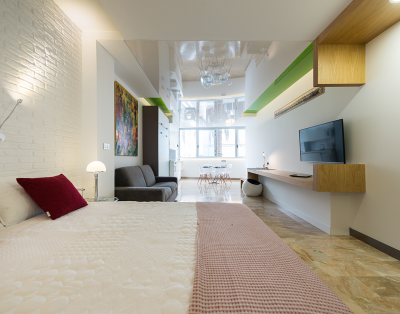 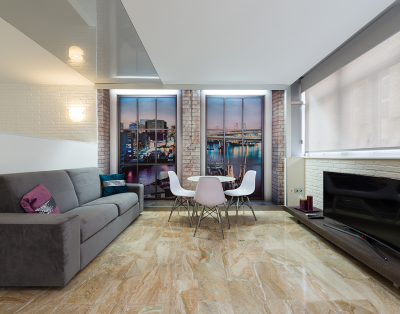 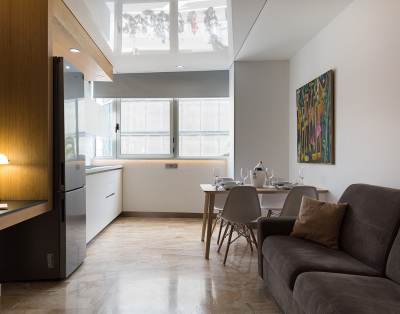 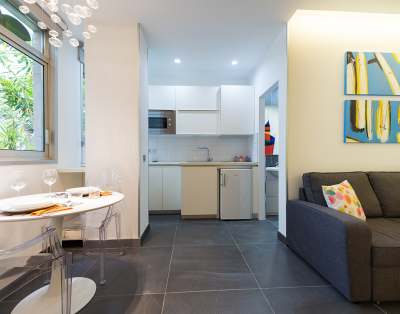 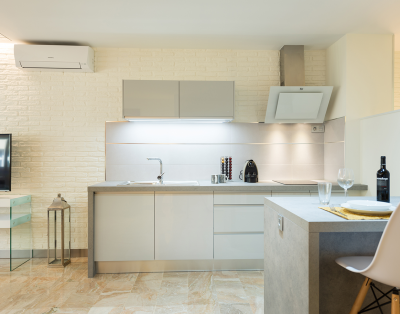 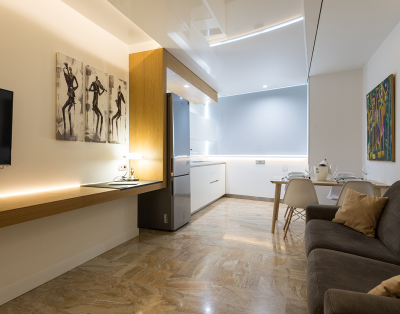 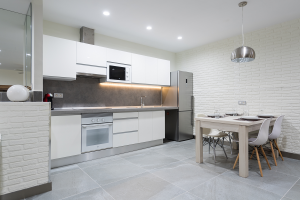 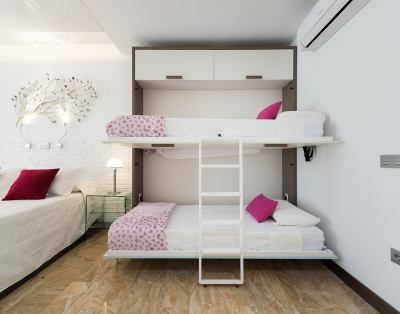 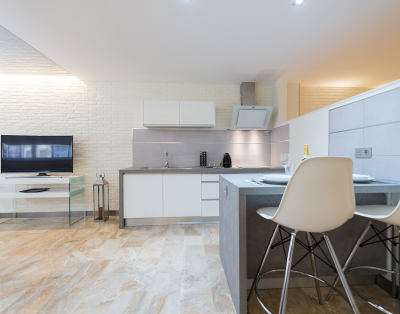 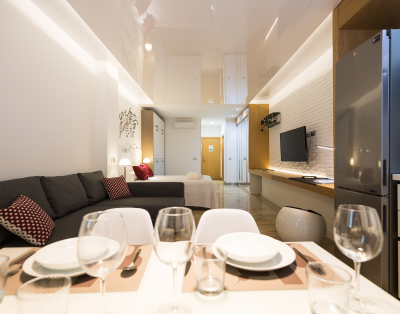 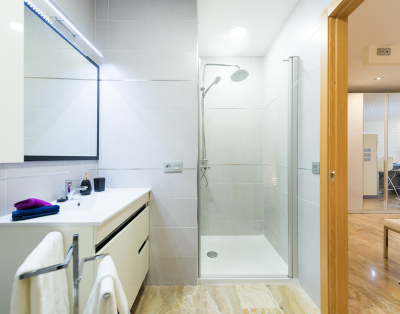 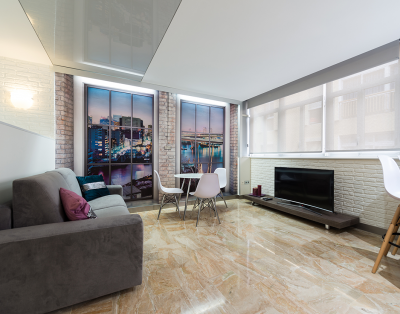 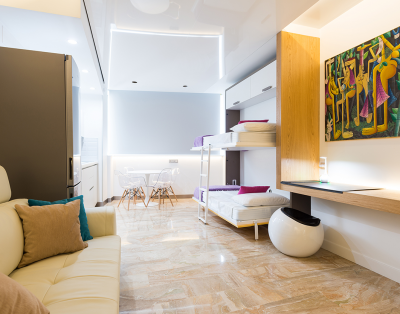 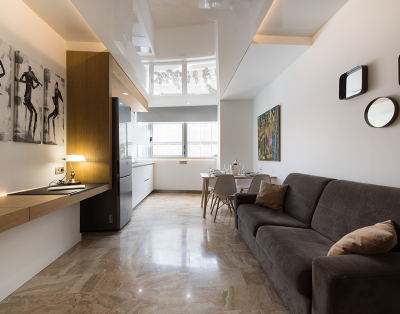 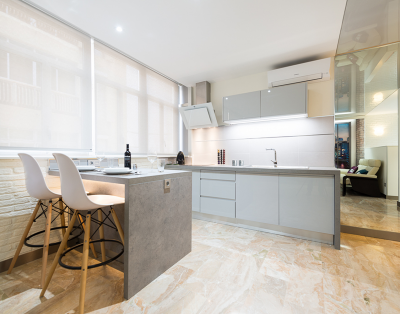 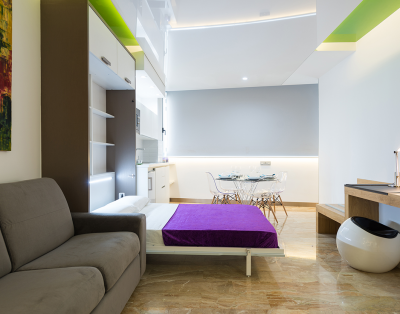 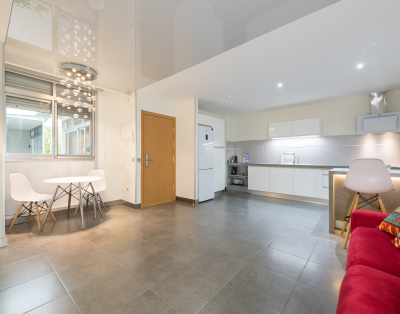 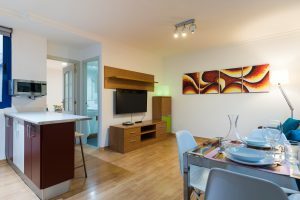 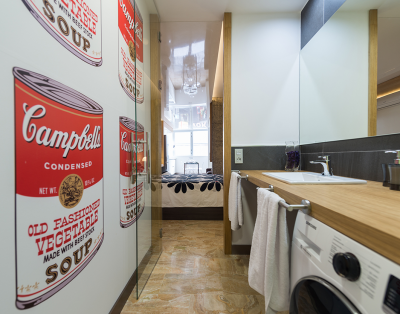 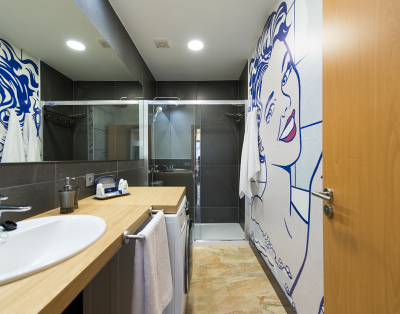 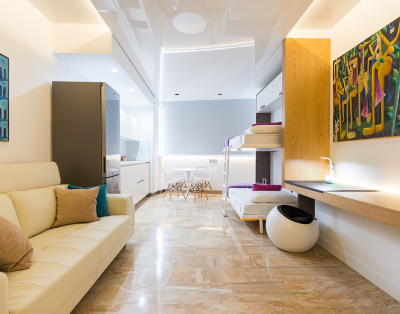 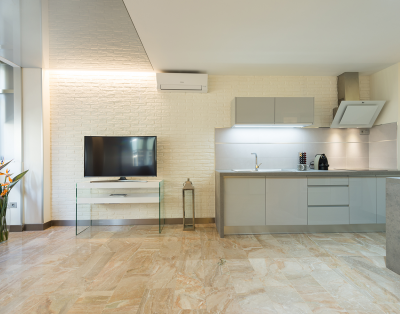 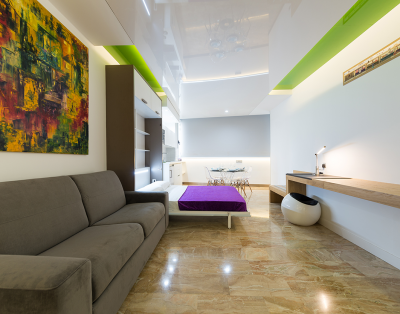 Modern apartment of 30 m2, with capacity for 4 people. 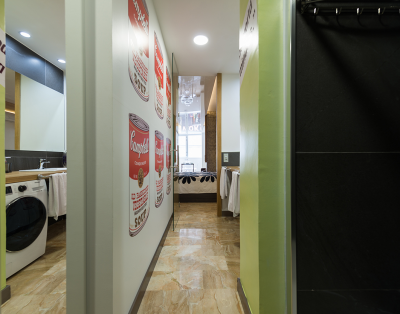 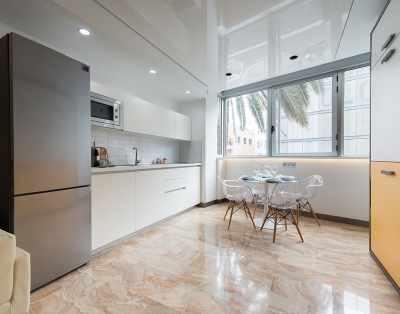 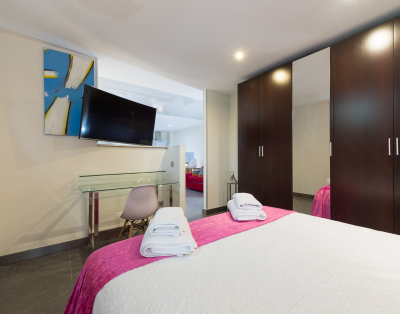 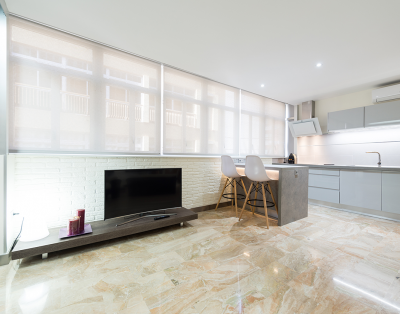 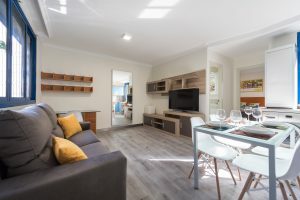 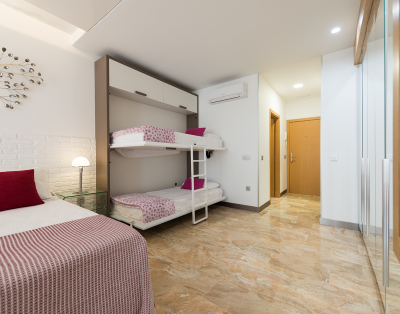 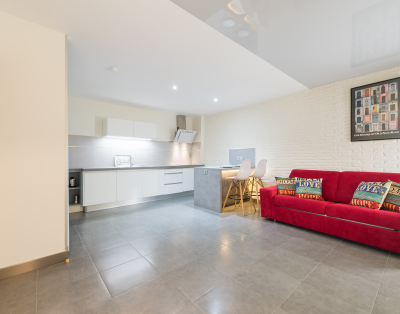 Located just 40 metres from Las Canteras Beach and just 100 metres from the city’s main shopping, financial and leisure centre (terraces, restaurants, shops, El Corte Inglés, golf, paddle tennis, auditorium). 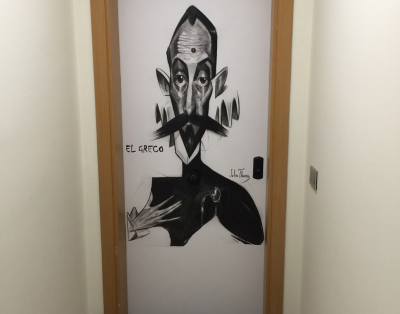 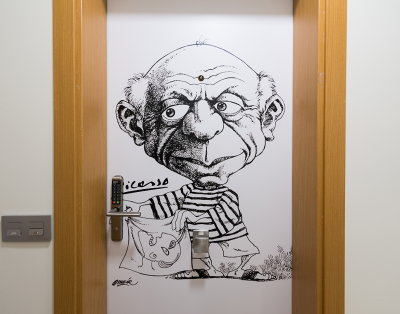 you will find the “DALI” Building. 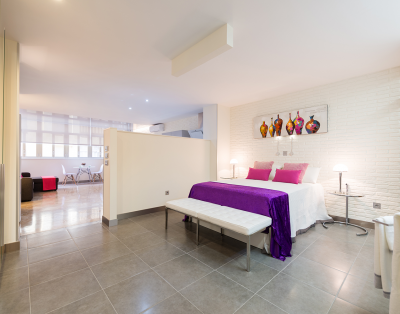 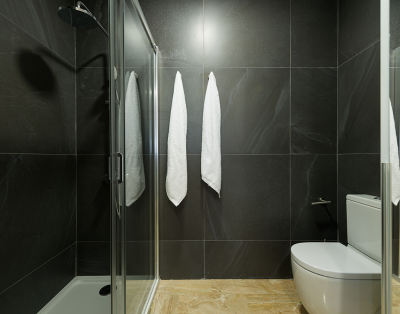 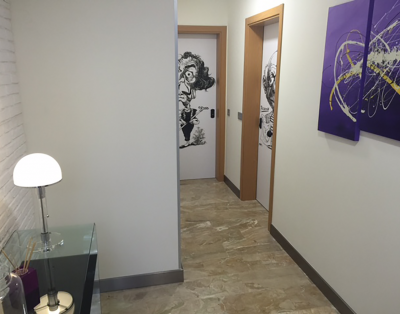 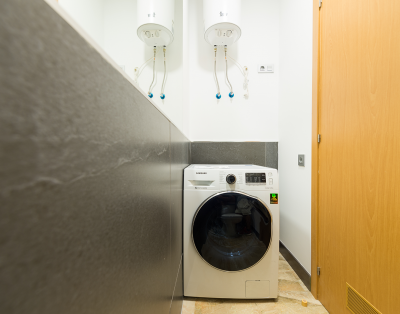 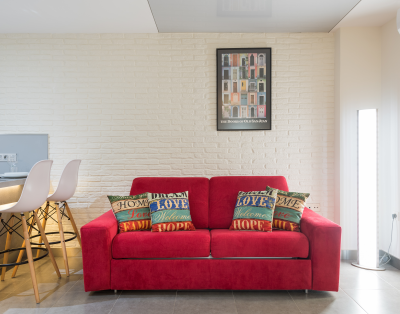 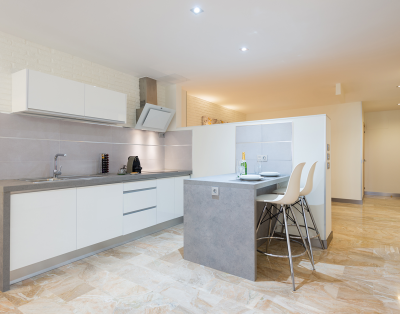 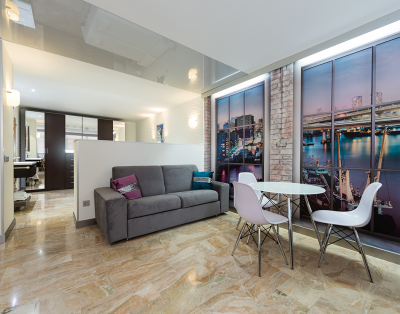 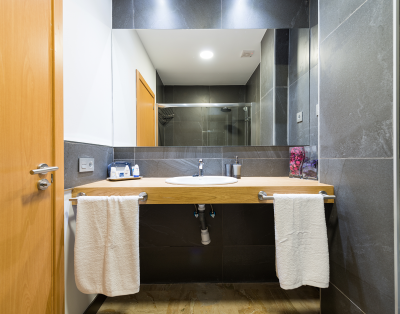 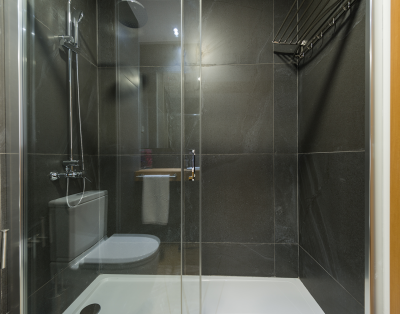 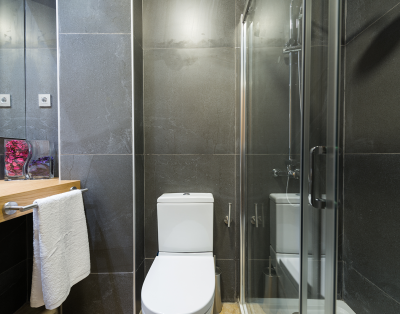 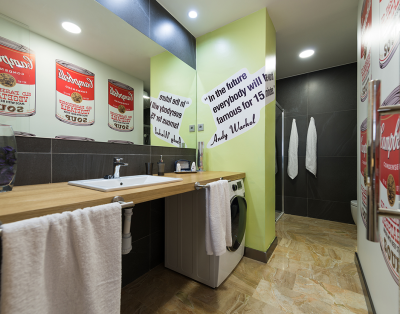 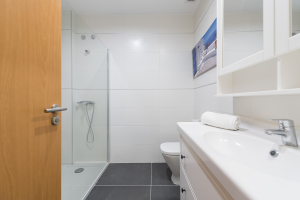 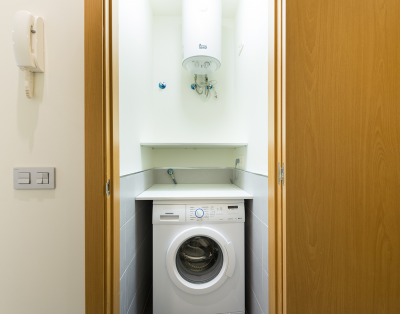 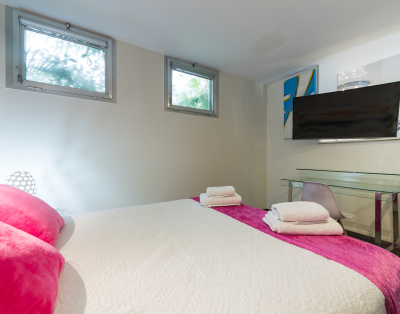 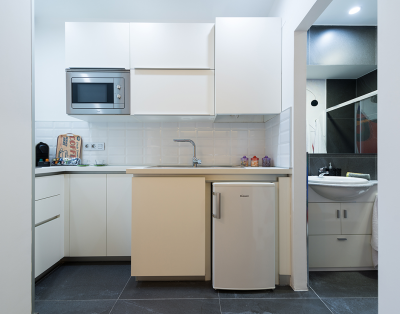 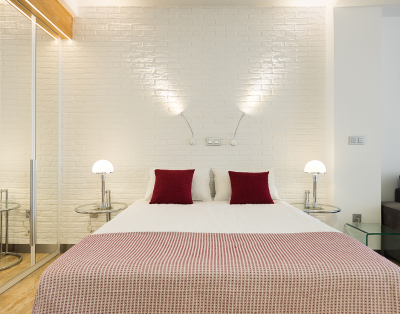 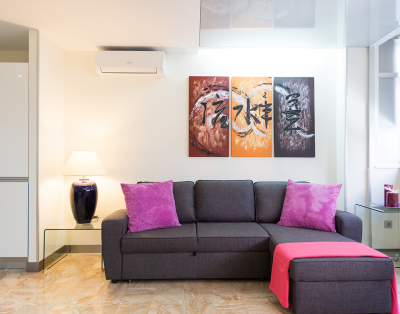 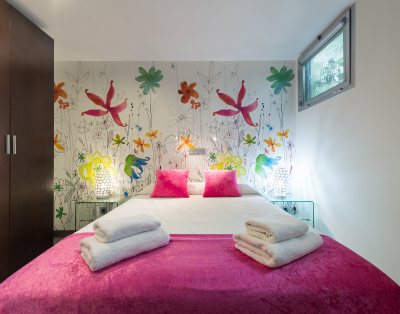 In the same building there are 12 newly refurbished and furnished apartments with capacity for 2, 4 and 6 people. 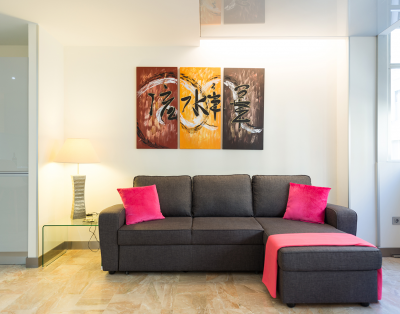 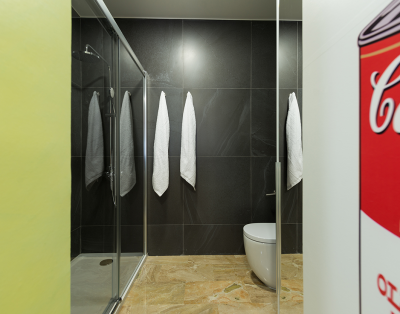 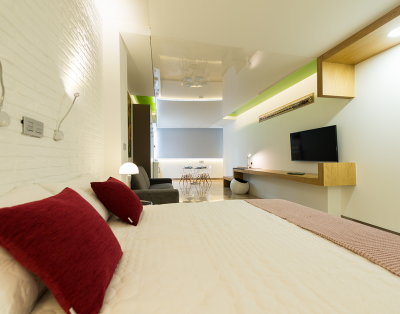 Comfortable with furniture and decoration designed to facilitate a pleasant stay either for business, pleasure or rest.